When it comes to your recruitment, how can you find the professional employees your business really needs? Well, when it comes to the business outlook in 2019, one thing is clear. Next year is set to be the year of change. Whether you view that as a glass half full person, and embrace uncertainty as a period of possibility instead, there is good news ahead. The REC has said that recruitment isn’t on the wane. They’ve also said that great professional talent is in demand. 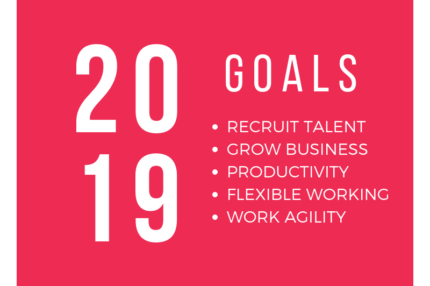 So, if you’re keen to get sorted in time to leap into next year with the right talent for your business, now’s the time to recruit. One way to find the professional employees you need, is to recruit flexibly. It’s our experience that when job advertisements offer flexibility, the number of CVs soon rockets, compared with those job adverts that do not offer this. With half of the UK’s work force being working parents, it makes sense that in today’s agile work place employees are seeking this. Our flexible recruitment agency is teeming with professionals all seeking the next step in their careers, but who need flexibility to do this. It could be a four-day working week, or it could be offering flexible working from home one day a week. It’s nothing to shy away from either – it’s actually a cost-effective way of attracting great talent at a time when this is in short supply. It’s a win-win situation: you find professional employees and your team gets the extra support they require to get the job done to the highest standard possible. And just imagine how important that is going to be as we go into 2019. Get in touch let us help.